Sebastian Vettel is of the opinion that the new DRS zone at the first corner of Silverstone will further increase the gap between the teams competing. Silverstone is the fourth circuit to get a new DRS zone this year after Australia’s Albert Park, Canada’s Gilles Villeneuve and Austria’s Red Bull Ring. It will be added from the start-finish straight and will end at the Abbey Farm sequence. 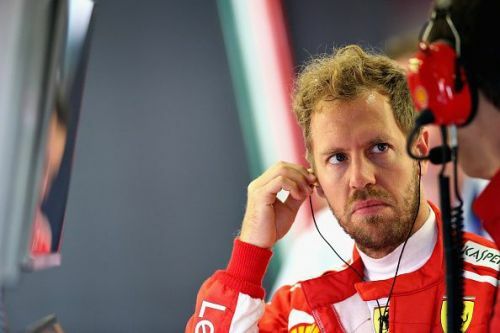 The reason why Vettel is perplexed may be because the corner in question is tough to start with cars losing downforce, and added DRS could make them even more unstable. He went on to explain who could actually counter it. Red Bull’s Verstappen is known to be a combative driver and he said he was willing to try to take the corner flat out with his DRS open. His teammate, Ricciardo was a bit more skeptical because of the extreme pressure it will apply on the rear tyres. 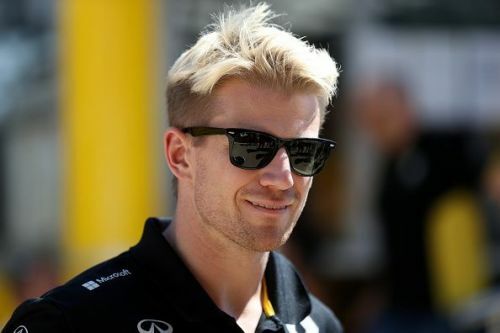 Hulkenberg’s teammate at Renault, Carlos Sainz Jr. believed that the DRS would aid in qualifying but race day would be a different matter altogether. “It’s a lot of lap time if you do it. I don’t really expect anyone taking that corner flat out with DRS behind another car, that’s why I don’t really understand if it’s been done as an aid to overtaking”, said Sainz. “Everyone will close the DRS in race trim before that corner. It will not help much in overtaking. I expect it has just become a bit of a challenge for qualifying more than a race trim”, the Spaniard added.